Just off Flinders Lane, in between Russell and Exhibition Streets runs one of many of Melbourne’s laneways. This particular lane is more notable than most for its name and its chief resident. 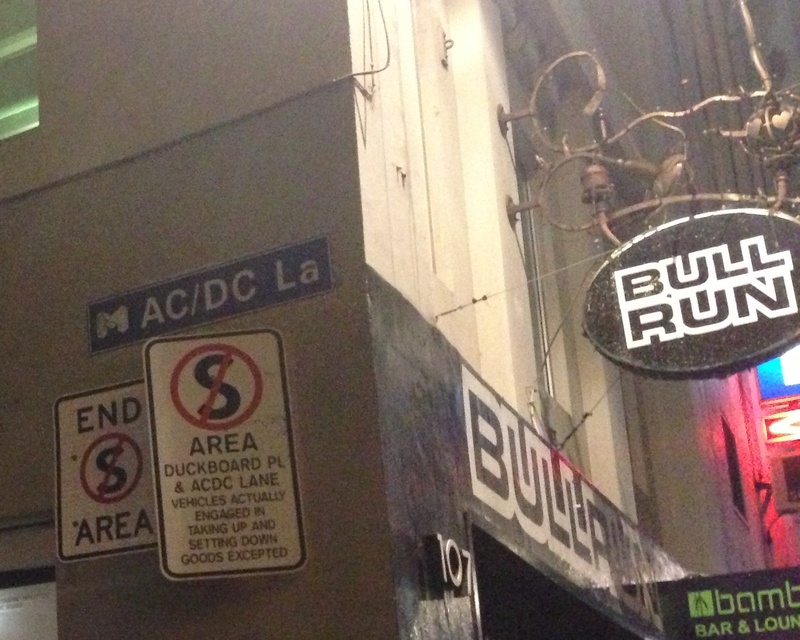 In 2004, Corporation Lane was renamed AC/DC Lane. 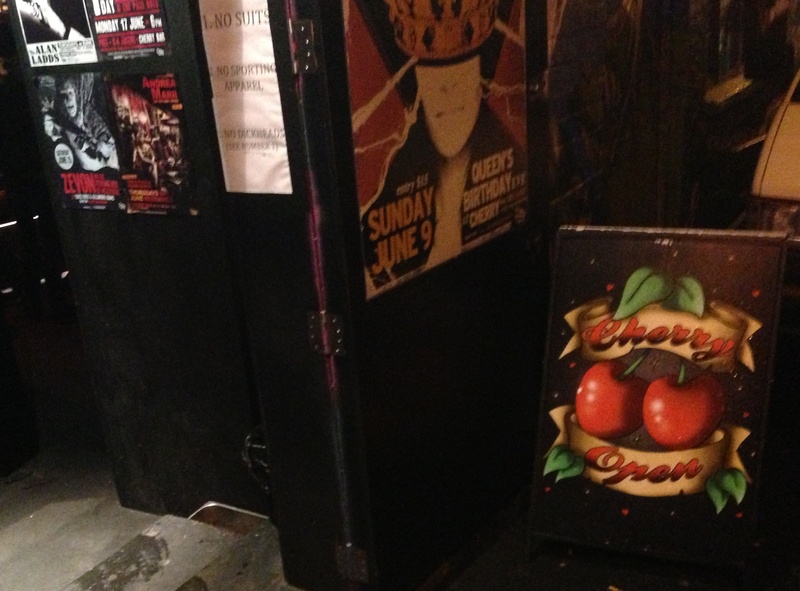 And since 1999, Cherry Bar has been “pretty much the best rock’n’roll bar in the world”. If you don’t believe me, check it out for yourselves, or at the very least check out their website. 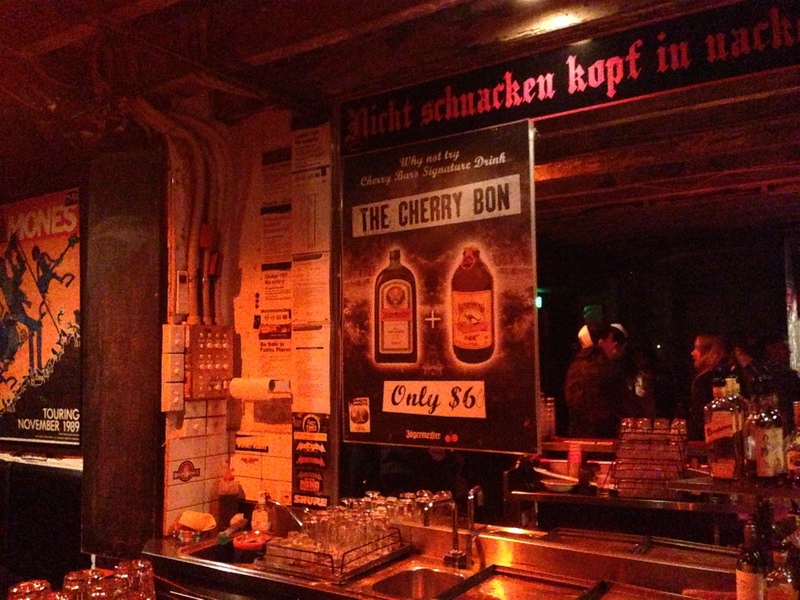 I’d made my mind up to check out Cherry Bar after reading this great reflection on a Good Beer Week event attended by blogger – Beer, Bar, Band. What a terrific venue – though it was only until after I had a close look at my photos that I realised that I was lucky to get in. Let’s just say that if was at capacity – I would have been the first out the door. It wasn’t just the suit either. My hair length was very much out of place. The only other punter with short hair had it dyed bright green. 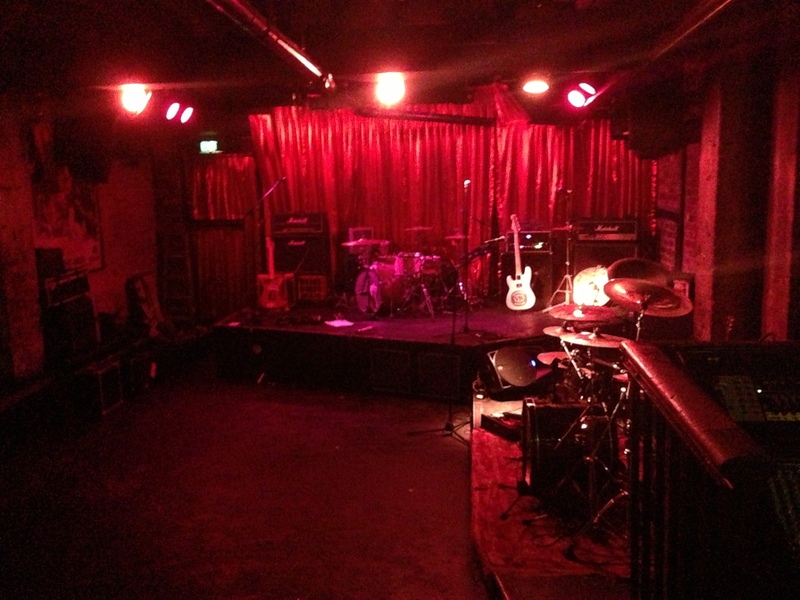 A crowd was steadily growing in anticipation of seeing the Vice Grip Pussies and a late, late appearance by the Bellrays. I’ll do that next time with a mate. 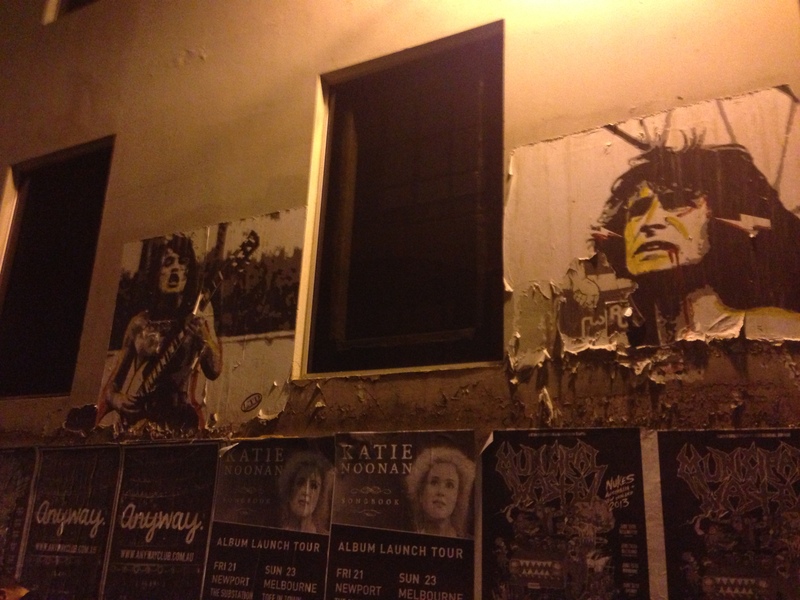 There’s plenty to like about Cherry Bar and AC/DC Lane. Whether it is the cherry lighting that drenches the stage, the stickiness of the beer drenched floor, the wall art or Cherry Bar’s house drink – the Cherry Bon – this is a fabulous place. No wonder Noel Gallagher offered to buy the place. The lane gets also gets pretty packed as people congregate outside for a dart or two, whilst being looked down upon by two raw portraits of Bon and Angus. That reminds me – the last time I saw AC/DC – I was wearing a suit. Copped some askance looks that night as well. Aaah well – I now know for next time.